This is said to be the most daunting and stressful part of your envisioned dwelling. The process starts by obtaining quotations from building contractors, and having to determine whether the building contractors are as reputable as they claim to be. You also need to ensure that the quotation covers every aspect of the proposed dwelling, without any hidden costs cropping up as the construction progresses. There is nothing worse than discovering half-way through the construction process that the building contractor you employed under-quoted for the project, and he has run out of finances. What if the building contractor verbally agrees to install high quality fixtures and finishes, however he neglects to define what his interpretation of “quality” entails? You walk into your newly constructed home just to find that none of the installed fixtures embodies what you consider to be high quality. 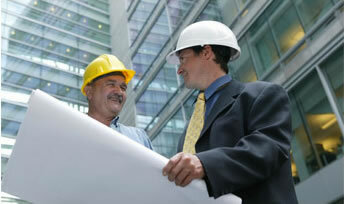 How do you ensure the building contractor is building according to construction “best practice principles”? How has he constructed the Foundations? Are the waterproofing systems installed correctly? What is the quality of bricks being used to construct your dwelling? Are the lintels being installed correctly? Has the contractor been cutting corners, thereby putting the lives of you and your family in danger, just to increase his profit margin? Our years of experience as Architectural professionals are deployed during our Contract Administration and Inspection process. Contact us now and ensure the construction of your dwelling receives the professional attention you deserve.